When it comes to purchasing home theater furniture, we often recommend that first-time buyers stick with a well-known manufacturer such as Lane Furniture. Lane has been a major player in the industry for nearly a hundred years, which is a testament to the quality and reliability of their products. This fact alone is typically enough to convince customers that they would be spending their money wisely by choosing theater seating from this brand. Lane 103 Matinee Power Recline. This power recliner is finished in beautiful bonded leather and built with a 44" tall seatback for excellent head, neck, and back support. It comes with all the theater seating features you could possibly want, including removable swivel tray tables, in-arm storage, chaise footrest, and wallhugger design. Lane 315 Cinema Power Recline. The 315 Cinema model is stylish chair that has pillow top cushions for exceptional comfort. It also boasts LED ambient base lighting and lighted cupholders hidden away under the sliding armrests. Lane Clausen 370 Sectional. If you have a spacious media room that can accommodate lots of home theater furniture, then check out the Clausen 370 Sectional collection. This collection consists of such pieces as an armless chair, storage console, recliner, wedge, and chaise, all of which can be purchased as a group or individually. Each piece is finished in soft leather for comfort and style. 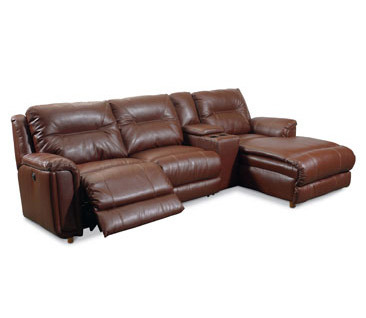 Lane Canterbury320 Sectional. The Canterbury 320 gives new meaning to the term "lap of luxury"! Pillow top padding and double plush cushioning are combined with extra lumbar support to produce some of the most comfortable theater seating money can buy. You'll also love the Zero Gravity reclining mechanism that allows you to recline in an almost fully horizontal position. If these products don't quite mesh with your tastes or budget, we invite you to view the rest of our Lane home theater furniture lineup at TheaterSeatStore.com. We have many more styles to choose from, so we're sure you'll be able to find theater seating that's perfect for your media room.